So... finally a year after I joined this forum... I run my own game! I am going to use this post to write how the campaign unfolds, if moderators consider it a pain please delete. Sorry if my written English is not great (I'm not native English speaker). - smaller group for me please (I'm an unexperienced master). Won't count with 2 of them again as one has an impossible work schedule and the other is that typical character that does bad stuff that clearly generates some tension at the table even though the guy in real life is lovely (at one of the points caused an argument at the table between 2 players which made me intervene hahah). He kept doing stuff that didn't make much sense (before running this game I gave them a super quick briefing about what this game's about) but he kept arguing that it's what his character would have done and it's the nature of his character. So he is not coming back ahhaha. As much as it's my job as a master to ensure everyone is having fun... this guy is too disruptive. The adventure itself was great, very very fast paced even though it took us two sessions. I run it all with 1st Edition, not revised although used initiative system. Nobody died, one of them was injured though but they could all get out easy enough. Everybody said they had a great time, so I reckon I did alright, even though I think it's quite hard to be a game master and have a lot to learn still. 1 is a male pirate and 1 is a female pilot. Haven't worked too much with them on their backgrounds but they had some cool scenes together. Best one... they were running on one of the tunnels in Mesa 291 which started crumbling down, one of them felt to the floor and passed out and the other decided to protect her bro with her own body to avoid further damage. I granted a exp point for that because I thought it was a great moment. This player is lovely and she wants a strong charismatic but quite young and slightly arrogant figure. I have worked a background with her, nothing too crazy or original. Her native planet is a not very important one located near the outer rim territories, rich in a mineral that is quite important to build starships (... because why not?) and that had always mantained a neutral status trading this mineral across the galaxy. However the father of this character, an old senator, was not really happy with the Empire and started making secret treaties with other planets in favour of the Rebellion (nothing major but giving trade advantages to manufacturers of Rebel Ships etc). Everything low key... Emperor finds out and sends the Imperial fleet to the player's planet... wipes out government and the player's family and that's why this guy who now is a bit of a nobody... wants to join the Rebellion. He happens to be the husband of the player that plays the young senator and they wanted to have some sort of friendship in the game. He's going to be like some sort of Gurney Halleck, mentor type of figure. No force or jedis now... as it's too much rules for me. Game was great, fast paced, we tried the combat rules they went alright, nothing crazy. When they got into the Y WINGs and decided to escape through the main cavern with the imperial AT-ATs coming... I had to totally improvise as I don't have a good knowledge of the rules for vehicles etc. So 1 of the siblings is a great pilot. He said he wanted to entertain the AT-ATs a bit to give time for her friends to escape in the other Y WINGS. I had no idea how to handle this so I said... ok, you do some maneuver with your Y WING (difficulty 20). He got it right so I described the action, the AT-ATs try to catch up but everybody is already on the run and they leave. Player felt great (I was a bit dissapointed because I didn't want to show them that I had no clue how to handle the situation but I think it went alright). So before Leia, Han and Luke get there I want my players to visit this base and then we will decide what to do. The senator wants to regain control of his planet but I don't have a clue on how a group of 4 heroes could restore the control of a Planet. I discuss with this player that probably there were a lot of loyal people to his family still left but they are afraid to speak due to Imperial Control. Maybe they can help. I thought one of the moons of this planet could have a shield so maybe a major mission will be de-activating the shield, call the Rebel fleet and then invade the planet again and regain control. However, right now they will be in Hoth and to be honest to me it seems that Rebels got more important things to do like getting Echo Base up and running. So I don't really know why would they give much importance to this young senator of a small planet near the Outer Rim. The planet has valuable mineral so that could be cool, but then as I imagine the Rebel Alliance they haven't got much material to do a bit invasion? So not really sure how to handle it. I thought maybe as Rebel Breakout is completely adrenaline based adventure, non stop, no time to talk... then this next one, 100% homebrew I could give them time to know each other and maybe do small stuff on Hoth's Echo Base? I'm not a mod, but I love reading about people's games. Post away! - smaller group for me please (I'm an unexperienced master). Star Wars is one of those RPGs where its easy to run stories about two or even one PC. I prefer a group size to be 2-4 players plus the GM. That's the goal size for me. As for your two people that missed and left. For the guy that didn't come, no problem. It was the first game, so that character just wasn't among the party. He can be someone that they find that has wondered into the mines. No issue there if he shows up for game session two. As for the guy who left half way through---well, you could have some fun with that. First, you can just have this wannabe Rebel change his mind. Play him as an NPC. He's the guy that says, "Hey! We can reason with these Imperials." Then, the character walks out, with his hands up, in front of the stormtroopers, and they just murder him. They blow him to bits. Oh, and the player who left can roll up a new character if he plays again. But, he forfeited this one when he left the game. And, you turned the frown upside down into a smile by having the character who left go out in a cool scene for the rest of the players. You could keep the PC (from the player who left) as an NPC. Secretly, this character is an Imperial sympathizer among the group. Now, you play the character...that could get interesting. As much as it's my job as a master to ensure everyone is having fun... this guy is too disruptive. ...even though I think it's quite hard to be a game master and have a lot to learn still. I suggest that you keep the scenarios short and easy until you get a better grasp of the rules. If you make up your own scenario, that might help. Or, take a look at the book called Instant Adventures. Lots of good stuff in there. There's also another set of short adventures in Taipani Instant Adventures, plus the various adventures you'll find in the volumes of the Adventure Journal. they were running on one of the tunnels in Mesa 291 which started crumbling down, one of them felt to the floor and passed out and the other decided to protect her bro with her own body to avoid further damage. I granted a exp point for that because I thought it was a great moment. Good call on the skill point. Was she in real danger, covering her brother like that? If so, I'd give her a Force Point. Yeah, the rules say that FPs can only be received by spending a FP at a dramatically important moment. But, if the sister risked her life--and there was real danger that the character might be killed--then I'd give her the FP. It's a new game, and you want to encourage great play like that. Be careful not to get into the habit of awarding too many skill points or force points, though. Emperor finds out and sends the Imperial fleet to the player's planet... wipes out government and the player's family and that's why this guy who now is a bit of a nobody... wants to join the Rebellion. Good call. Learn the game in parts. That's why I suggested that you make up some small scenarios by yourself. You can focus on different rules in each session. For example, as the Rebels escape from Bothan's Planet in the Y-Wings, they pick up some incoming signals....TIE Fighters! Coming in, point 359! Start that next game with space combat. Nothing special--just four TIEs against the four Y-Wings. That'll be fun for the players, and you all can learn space combat (which will help you with learning chases). You've got one droid. This droid has stored in its memory banks the coordinates for the hyperspace jump to...wherever you need them to go next. The droid will provide the jump coordinates to each of the other three Y-Wings. Treat this as pre-calculated coordinates when using the Astrogation rules. There are lots of ideas for short adventures starting on page 114 of the 1E core rulebook. I suggest that you read the chapter starting on page 87 (spend some time learning that chapter), and then read the chapter starting on page 95. When you're done with that, check out the adventure ideas on page 114 and design your own. You don't have to make anything elaborate. A simple adventure centered around a cantina brawl will do. And, focus the adventure on the rules that you want to learn. For example, let's say that you want to have some hand to hand combat in your game. You haven't had that yet. The coordinates that R2-D0 has provided for the Y-Wings takes the group to a world out deep into Hutt space. It's a moon of a gas giant--a dusty, dirty, sandy rock. The temperature isn't that bad (because we don't want the players thinking about Tatooine). The moon is starting to be exploited by a mining company. Maybe it's the same mining company that ran Mesa 291. And...maybe, a theme is starting to develop here...with your Young Senatorial character...but that's for you to decide later. The starport is little more than cleared, fairly flat space on the ground. Resources and supply are minimal and basic. Nobody comes here except for miners employeed at the mine and maybe the occasional local trader. There is a cantina here, filled with miners, mostly, and a few aliens. Deo says that Tiree is supposed to be here. This was the meeting point. So, when the PCs start asking around for Tiree (Deo can project a holo image of him), one of the gruff miners steps up and says, "I don't know where he is, but if you find him, I want to know. He owes me money!" And, this devolves into a bar brawl. Bring in some local Mining Security to break it up, if necessary. But, you end up with a fun little scenario for the night--and you learn hand to hand combat rules. great ideas in your post. Thanks for all your suggestions, all points taken! Got some questions though, you know Rebel Breakout starts right in the action. How would you deal with how the players got there in the first place? The young senator wanted a diplomatic ship, nothing too crazy, I thought it would make sense. His master of arms, his loyal protocol droid C4P2 (in Spanish translates as C4farts) and him could last minute escape his Planet (Edden) back when it was being invaded by the Imperial Fleet. I thought I won't make the ship really good, just a diplomatic transport with no signs or anything as to not catch much attention. The two siblings, are most probably going to be outcast. 1 of them is a pirate and could have escaped from his old pirate mates or he could have been only survivor of some sort of crazy shenanigans. Will have to discuss it with the player The other is an expert pilot but I don't want everybody in the party to have ships because it's a bit mental. I'd like them to travel together. However, mesa 291 starts with all of them in the mine. I've thought that maybe the senator and his companion left the ship in a secret hangar paying some money to a Bothan native? After this adventure they will have to recover it I guess but somebody has it? How would you deal with it? Young Senator and his companion have a ship, nothing crazy, nothing too big. They had to leave it somewhere in the planet Bothawui to get to Mesa 291... did they catch a taxi or something ahahah? Depends. I've run that scenario about three times. It is designed to just start right in the action--right in the middle of it, Star Wars style. There's nothing wrong with that. We don't know much about Han and Chewie when they show up in ANH. It doesn't matter. Details are applied later, when the details are needed. Then, I've also created a whole starting adventure to get the players to the Mines in another instance of running that adventure. I let the players pick whatever kind of PC that they wanted to play with the stipulation that they were on Bothan's World. That was their homeworld, and because of the mining industry, the place had just fallen under Imperial Martial Law. Suddenly, the there were stormtroopers everywhere, and sympathy for the Rebel Alliance was running high. They had made contact with a Rebel recruiter, Tyree, who made it clear that they were looking for pilots (this encouraged the players to put some dice into Starship Piloting and such. The PC didn't know each other. I think I had 4 or 5 players for this game. After character creation, I started the game where all the PCs were out in a merchant district of Maroe, the city close to Mesa 291. I started the game by describing this big action scene where the PC witness the brutal take down of Rebel sympathizers by the Imperials. Just for grins, I had Boba Fett rocket in on his pack, too, and make a capture. This is all window dressing to set the scene for the players and to show how strict the Imperials had become. I wanted to harder the players' resolve a bit, encouraging them to hate the Empire. The PCs first meet each other there at the beginning as they were all told (in the backstory) to go meet Tiree in a specific side ally of this merchant district. When they get to the ally, there's no Tiree. Instead, this droid makes an appearance. R2-D0. D0's projector snaps on, playing a message not unlike Princess Leia's plea for help in ANH. In the recording, Tiree apologizes for not appearing, but the situation has changed, he says, and the environment is hot. This is all backed up by the opening action scene that I described with the Imperials, the Sympathizers, and Boba Fett. If the players want or need to communicate with the droid, I would just use the standard language rules to see which character understands the droid. If any of the PC start with a datapad, then Deo can communicate through it--his words appearing on the screen. It is relatively easy to get out of Maroe and down to Mesa 291. They take a droid-skimmer. If the players take a ground method, then they are stopped by a stormtrooper check point. But, if they go by air, the players should be smart enough to figure out that there's nothing to stop them. The Imperials don't have much of an air presence. I have the droid-skimmer land just outside the opening to the mine. The skimmer was detected by the Imperials, which is why a squad is sent to check it out. The answer to how to open the adventure is: However you want. Whatever strikes your fancy. What will deliver the maximum enjoyment for the group? Quick, to the point, just start it? Or, something more elaborate like what I've described. Or, maybe something in between. I've got no problem with giving a character a ship. My question would be: Does giving the player the ship allow the player to leave the planet without the Y-Wings? For that reason, I probably wouldn't give it to them. But, you've already played the adventure, and the PCs are no on Hoth. So, heck, why not. Let the senator have her ship. A thought: Let them have what they want. Then, stage a scenario where some of the ships get blown up or severely damaged. You've got a great opportunity with the Battle of Hoth coming up. As the PCs escape that world, they engage with TIEs and such. Overwhelm them. Vader certainly has the resources. Blow the heck out of the ships that you want to get rid of, leaving the PCs the final ship that you want them to have. That way, the players get what they want, and they don't know that you've conspired to weed them down to only one ship in the party. From what I understand from your posts, the players took the Y-Wings, escaped Bothan's Planet, and then jumped to the new Rebel base at Hoth. Going on that assumption, I'd say it is too late for the Young Senatorial to have her own ship. Unless you want to set up an adventure where the ship is in a hangar or storage somewhere, and the group has to go and get it. That could be a neat little adventure. And, I like organic adventures like this that grow out from the story. But, even if you don't do that, you can still give the players a ship. They've made it to Hoth. My guess is, with the Senatorial, that she'll be working with the Hoth leaders, General Rieekan and Princess Leia. If the Young Senatorial and her crew, the PCs, are sent on a mission, then the Alliance will have to provide a ship for them to use. I think, that this point, that's your ticket. You can have a scene where Han and Chewie come in to Hoth with a freshly stolen craft. The Rebels go over it, and they give it to the Young Senatorial for use. It can be a bucket of bolts, or it can be a nice ship. Whatever you think will be more fun. You can design it to have enough for every PC to do something--Pilot, gunnery turrets--in space combat. And, there can even be a new droid introduced to the group. Now, the PCs have Deo and this new droid that you've designed. You can even set up some intrigue for later. If there is a new droid, the Rebel techs will go over it--maybe even give it a brain wipe. But, what if some old bits of programming was missed by the Rebels haphazard wipe? What if the droid (an NPC that you run) figures out that it has been stolen and starts to work secretly against the party in order to escape to the authorities? What if the stolen ship is wanted because of something the previous owners did? What if the stolen ship has a secret beacon on it (and whomever comes would arrive after the Battle of Hoth), following the PC, chasing them. And, the PCs have to figure out who is chasing them. Lots of fun can be had with this. What if the mine on Bothan's Planet was run, by contract, by the Senatorial's family company? You did say that the Imperials took over the mining business on her homeworld, right? And, her father was helping the Alliance. What if he knew Tiree and arranged to have the four Y-Wings waiting for the new Rebels? Why didn't the players know this when they were playing that adventure? The Young Senatorial didn't know all this secret stuff about her father. She's finding it out--by speaking with the Rebels, through Deo, and through info she's found at Mesa 291. Let's say that the system that holds Bothan's Planet--we'll call it the Ahwie system--has an asteroid belt far in the outer reaches of the system. Maybe the Senatorial's father had his eye on this belt for development--mining--in order to expand the operation on Bothan's Planet. Of course, this idea was abandoned once the Empire took over the mining operation. For safe keeping, the Senatorial's father could have hidden a cache out in the asteroid belt. Did the PCs pick up anything at Mesa 291 while they were there? A computer core? Did Deo interact with any of the computers in the mine? If so, then this is where the Senatorial finds out this information--while examining it on Hoth. Looking at the adventure, there are seven flight suits and six headset comlinks left behind by Tiree for the new recruits. Maybe the suits have these small flight recorders as part of them. Or, the comlinks could have some stored files. The Young Senatorial discovers the file--it's her father talking to her. "Sassy (whatever her name is), if you've made it this far, then you might make it all the way. In the belt of the Ahwie, I have hidden a cache of supplies in case they are needed. If you are hearing this, then I am dead and you are probably helping the Alliance. Go to the belt and scan on the Talc frequency. Look down in the two thousand range. You'll see a weak signal. Follow it. It will direct you to the cache." Here, in a "mining box", which is a temporary shelter placed by mining companies on the outside of an asteroid, is housed a hangar with a ship and any other supplies that you wish to provide for the PCs and the Rebels on Hoth. You could make this cool by having in the cache something needed by the Hoth base. Remember the sensors planted by Luke and Han at the beginning of TESB? Maybe these are old mining sensors, re-tuned by the Rebels to detect ships, vehicles, and personnel. Because of this cache of mining sensors, Hoth base is able to set up a sensor net around the Hoth base. There could be some arms there, too, left there by the Senatorial's father in case they were needed. Maybe he was picturing an uprising on Bothan's Planet. In the hanger, the PC will find a ship--the ship that you want them to have. It doesn't have to be a hunk of junk. Why not give them a cool ship with some neat attributes? You've got an entire adventure here! Or, you can just describe it off screen. The PCs go and get the ship. The mission goes off without a hitch. They return to Hoth to carry on with the campaign. The Senatorial and her friends take a couple of the Y-Wings out to find the cache. Unknown to them, the Imperials have already found the cache through the records at Mesa 291, but they've left it undisturbed as bait. They're watching, looking to catch more Rebels. As soon as the Y-Wings fly into the area, TIEs are scrambled from Bothan's Planet. The Rebels will have time to get into the cache. Did they leave someone out on patrol in space? Or, maybe, at least Deo is left to use the ship's sensors? Don't help the players on this. Let them learn from their mistakes. If no one is on the sensors, and no one is flying patrol, then the Imperials catch them by surprise. TIEs swarm the asteroid (this asteroid field is not super dense like the one shown in TESB), and an assault shuttle lands off-loading stormtroopers. Maybe the PCs have to get into space suits and fight on the surface of the asteroid! And, once away, the Y-Wings and the Senatorial's ship has to deal with the TIEs or race to jump into hyperspace. But...maybe the PCs are captured! And, this leads to another adventure that you'll have to make up. Escape from Bothan's Planet, part II. Or, maybe they go to Bothan's Planet first, then are transferred to a Star Destroyer--and have to escape from that. If they did have someone on sensors (a patrol or someone using the ship's sensors from within the hangar bay), then the PCs will have some warning and can launch. This still turns into a dog fight with the TIEs. Once the fight is good and going, sensors pick up TIE bombers incoming from Bothan's Planet. The PCs will have X amount of time to get out of the dog fight and enter hyperspace before the bombers get in range to pound the Y-Wings with Ion torpedoes...capturing the fighters and the Senatorial ship...and, well, you know...see above for the capture. I always believe in making the most of the materials provided us in sourceobooks. There's lots of mining company references in the various SW supplements and adventures. One that comes to mind is a Chapter-sized write up in the Flashpoint Brack Sector book. Lant Mining Corp is described on page 23 of that book. If you read its history, the Old Republic broke the company up because it had a monopoly. You could have the Young Senatorial's home world mining company associated with Lant, somehow. Edden Mining maybe was created when the Old Republic broke it up. There's lots of good info in that chapter to use in growing the Young Senatorial's background and in adventures to come. As I mentioned in a previous post, Mesa 291 could be a Edden Company mining site. In the Lant Corp background, it discusses Palpatine nationalizing large companies that do not support the Empire. Lant came out and opening supported the Empire before this happened to them. I guess the sister company, Edden Mining, did not, and that part of the operation was nationalized. I was thinking that a Barloz class Corellian Medium Freighter, from Stock Ships, would be a good choice for the Senatorial vessel. You've got 4 players. Upgrade the ship to have two quad laser cannons, and each of your players will have a role in starship combat. Put two on each of he laser cannon turrets. One serves as pilot. The last serves as Co-Pilot, operating sensors, shields, and/or Astrogation. If you read the description of the Barloz, it seems to fit with the mining company background. Plus, it's old enough to be in the Edden Company fleet from long ago. Nobody would notice it missing--thinking it had probably been decommissioned or sold. An old ore hauler converted into an executive HQ vessel. Perfect for the Senatorial. As for the name, I just thought Equinox sounded cool. The equinox is, of course, that time when the sun crosses the equator, making day and night of equal length. Metaphorically, here enters the Equinox, giving strength to the Light in its battle of the Night. Actually over two years after you joined. Better late than ever. I am going to use this post to write how the campaign unfolds, if moderators consider it a pain please delete. I own this website and I love to read about other's campaigns. Please share away! When I think of a Senator's Transport, I can't help but feel like some sort of Yacht would be the best choice. They're usually pretty quick, but not super heavily armed or armored. I've always been a fan of the Baudo-class Yacht. It's a sleek looking ship: Fast, but not heavily armed or armored. Also, because of the limited cargo capacity, it limits the amount of modifications and upgrades you can throw into it. 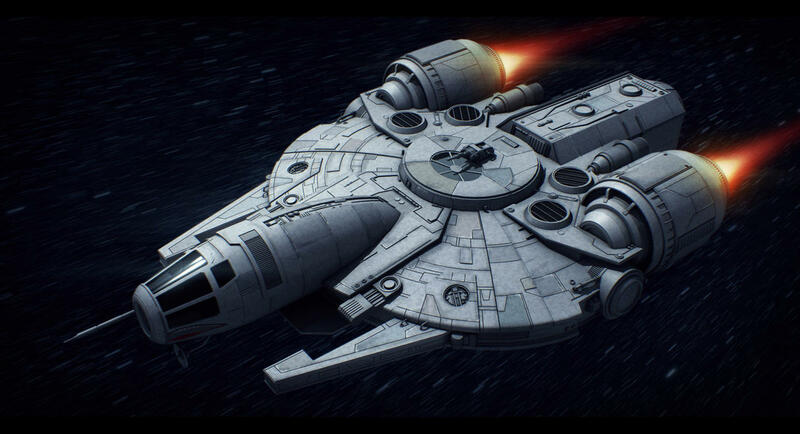 Or, how about the YT-1760 - Damn Fine Corellian Engineering! Just wanted to chime in and say thanks for sharing! So I stepped up to the challenge and kinda went for it because I had the story more developed for these two players anyway and had done some research on Hoth's Echo Base. Our PCs arrive from Mesa291 to Echo Base just a week before Leia Organa visits. At the base, General Rieekan, Pharl McQuarrie, Toryn Farr etc. are working under a pressure to have it all ready in time. Ion Cannon is not fully operative yet, Delta and Beta Points are being built and some new troops are arriving to Echo Base which is full of activity. Of the 4 players, the 2 not present go to take a rest and we leave them on hold. So I have the senator and his old companion. I did a lot of descriptions for them trying to get them to be in a set with a loads of personality. Cold tunnels, people everywhere doing their stuff, crazy big hangar with two GR-75 medium transports (one of the players loved this bit, although I made him roll to see if he would recognised the ship, he did incredibly well so I gave him some extra info on the particullar transport). Our young senator and companion do take a rest, the senator's wounds (from Mesa 291, nothing too crazy) are treated at the medical barracks while Tiree is put in a Bacta Tank. From their arrival our two characters are treated with respect by crew and command at the base. I thought there was no reason for not treating them like that. The droid R2D0 confirms only them got the secret coordinates to get to Echo Base. Not only that they managed to bring Tiree alive and also a few Y-Wings worth plenty of money. After a lot of descriptions and them getting in the Echo Base setting, both get a private meeting with the General in Command and some other high command personnel (General Rieekan, Pharl McQuarrie, Toryn Farr). I used this section to have them learn more about their background. We have worked it together but players will be expected in the future to know their stuff. This session helped them a lot to memorize/familiarize themselves with all the stuff (even though they helped creating it). By the end of the session both players were talking about their characters and had defined more the way they act etc. So in the meeting with the high command a few things were discussed. In 3 days Captain Solo will probably be back to the base with some ship they will be able to use. The Generals in command see fit giving our heroes a ship in exchange for bringing back those Y-Wings and Tiree alive risking their own lives. Loads of other stuff discussed there. Rebels understand the situtation at Planet Edden and its potential value for its mining resources but right now it's not even a priority and they are flat out with work here at Echo Base and other parts of the Galaxy. Even though they would love to help our heroes... they just can't right now. So after that meeting and being properly welcome at Echo Base our young senator and his companion spent the rest of the evening at the hangar. There (in my version) they have Captain Jake Nemara. He tells them some tasty information about temperatures dropping to -60oC at night, keeping the hangar door closed, work at the hangars, tauntauns, new recruits. This Jake is a bit of a veteran and recognises the senator's companion as another veteran, mutual respect... So, for some laughs Jake Nemara suggests that our veteran warrior takes on some of those new recruits the day after and gives them a bit of training. Final scene... the morning after, fully suited for the freezing cold, our two heroes get a weapons upgrade (nothing crazy, I gave them blaster rifles) and our Gurney Halleck gets a few fresh recruits for a shooting training outside. The Senator (Lionel) puts his scarf and goes with them too in snow clothes like any other rebel. Gurney went slightly full metal jacket with the new recruits at short range as I said some of them were kids with no much training. But then in what I thought it was a really cool role-playing when they got to medium range... instead of carrying on being a bully with them he started actually teaching them to aim, correcting posture and bringing that mentor side of his character. Funniest scene happened when we got to long range... Our Gurney Halleck tried to do a fast shot and he missed! (difficulty 20, he got an 19). He takes his binoculars and looks at the target with the shape of a stormtrooper. I said, you hit but just a little bit in the shoulder. Thing is... this guy comes from Edden, a Planet with nice climate. Even though he's a veteran, it's a clear morning and they are all wearing winter gear... it's freezing cold and he notices his hands shaking a bit. So he relaxes... prepares (I grant him an extra die) and boom, headshot to the target. All the new recruits are well impressed! And with that... we left it there. Not bad for an off the cuff session and a completely new master! So just wanted to say thanks for your tips! Equinox, love it! Love the name. In 3 days our heroes are going to have the chance to grab a transport. The corellian YT1760 freighter Equinox. I have always loved the look of that ship. However I want to make it a bit old and rusty. With that, they can finally go and see if they can find the young senator's ship. Which is going to be definitely a Baudo Class Yatch. Showed it to the player, she absolutely loved it. The name of the ship is the Black Rat (ask her... not my idea xD) and as the name says... it's going to be completely black. -Wait 3 days until they get their wonky corellian freighter. I'm already loving this, the senator is not going to be impressed ahhaha. -They said in the meantime they want to help. One of the captains has reported two engineers missing around Perimeter Outpost Delta. You all know what this means...WAMPA! - Wait 7 days until Leia gets to the base and try to get a private meeting with her. Totally going to look to Lant Mining Corp and try to work out a relationship with Edden Mining Corp. This might unfold during the conversation. The senator's dad was preparing him for when he would take over the role... but maybe he didn't tell our heroe everything about the business.... Loads to discover. By the way... the senator ship... of course it's not going to be there when they get to the place that it's suppossed to be hahaha.